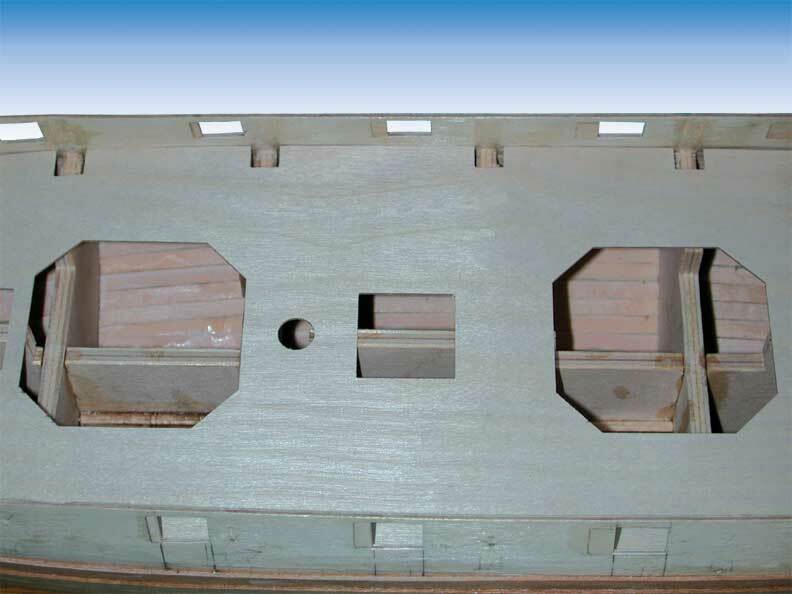 JoTiKa Ltd. ~ HM Bomb Vessel Granado Construction Page 3. 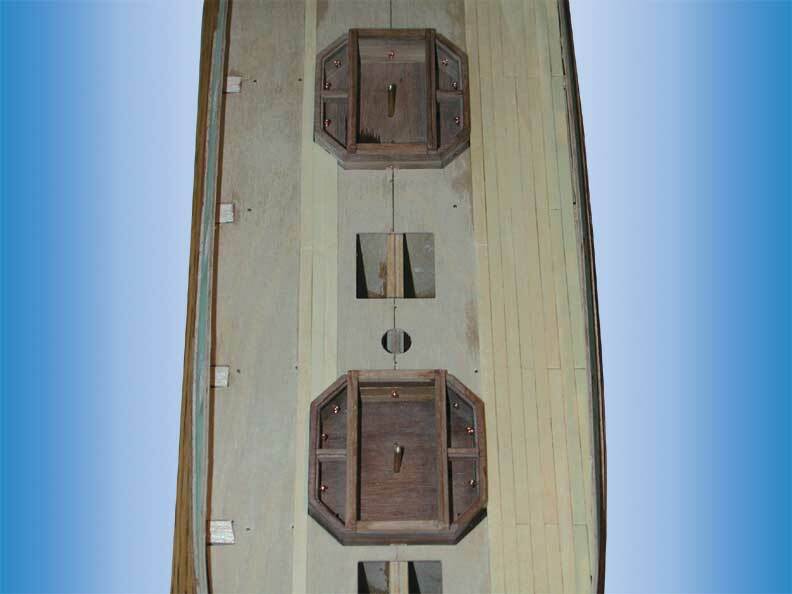 Bulkhead stubs removed and main deck fitted. Mortar housing assembly prior to fitting. Mortar housings fitted and deck planking started. 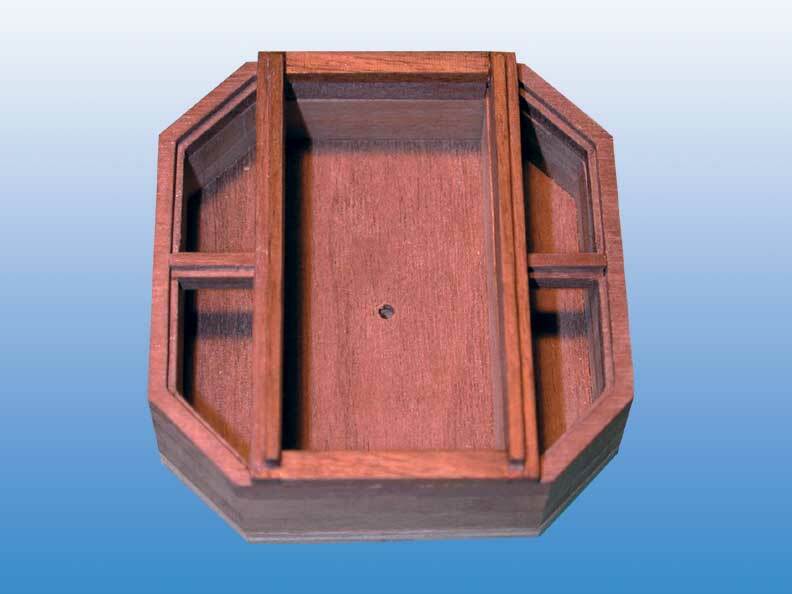 With the deck planked, the walnut inner bulwark pattern can be fitted taking care to align the gunports. Again the Gunport pattern shaping template is used to obtain an even curve. 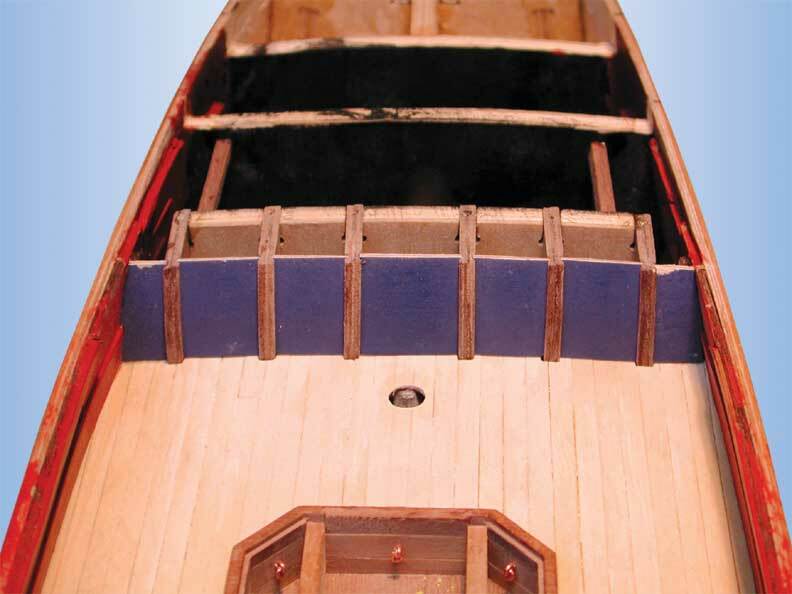 With the inner bulwark in place, the gunports are lined and the spirketting and sheer rail are fitted. Sheer rail trimmed to fit. 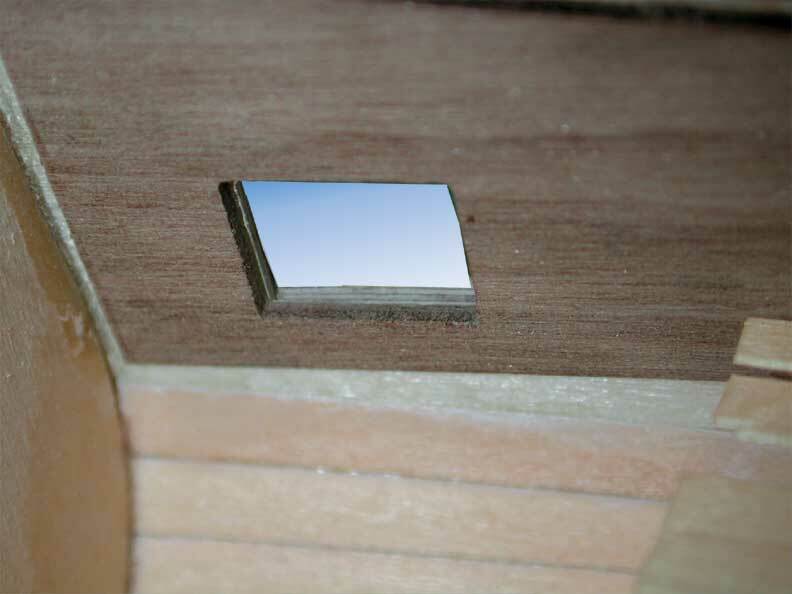 The sheer rail also helps to support the forecastle deck when in place. 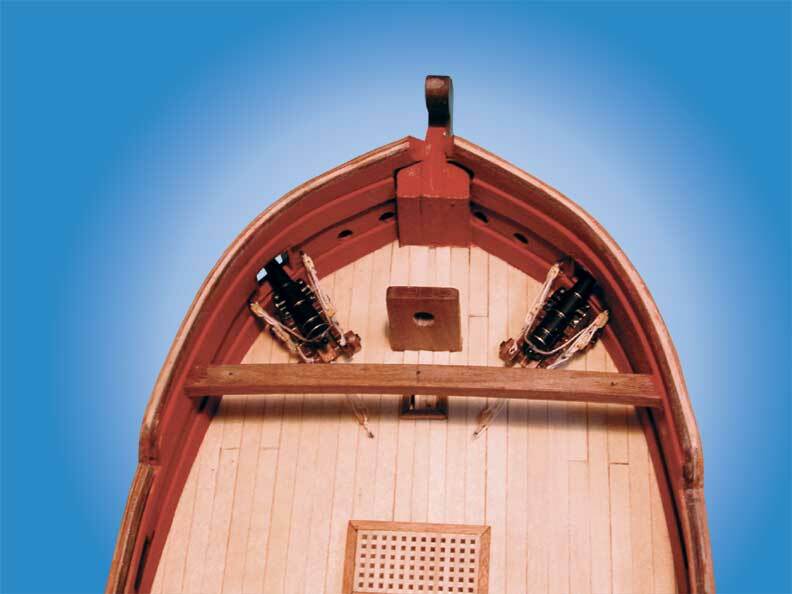 Note the bowsprit step protruding through the main deck. 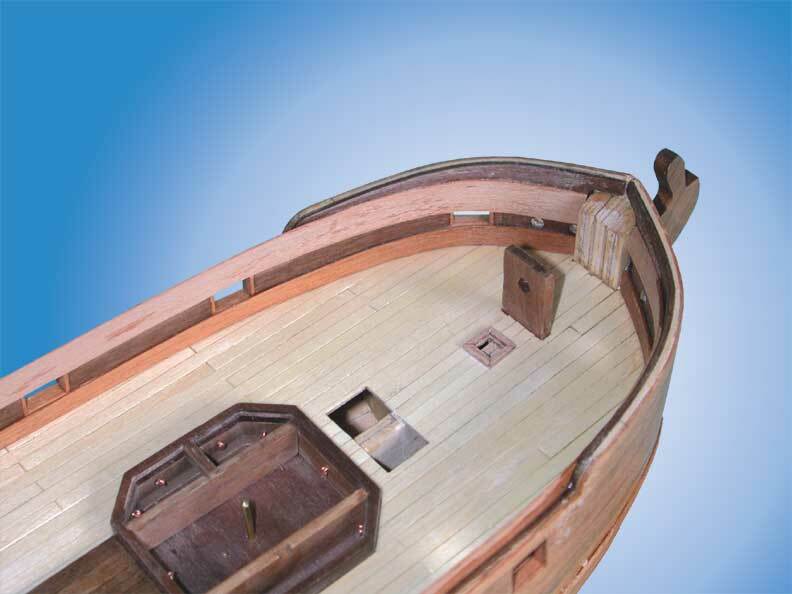 Forecastle aft support beam and 4pdr bow chasers fitted. 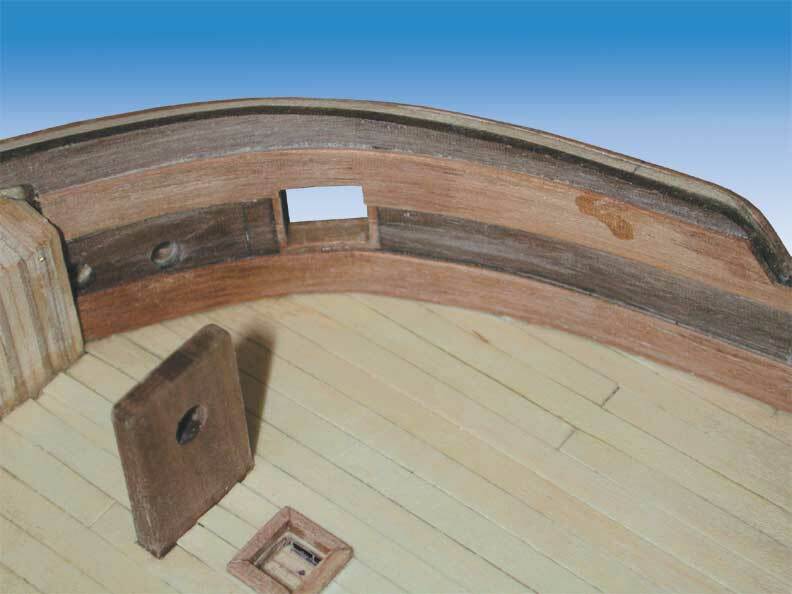 Fitting of the curved quarterdeck bulkhead. This is true to the original with curved panels 'slotted' in between pillars. Note doorway and decoration yet to be fitted.